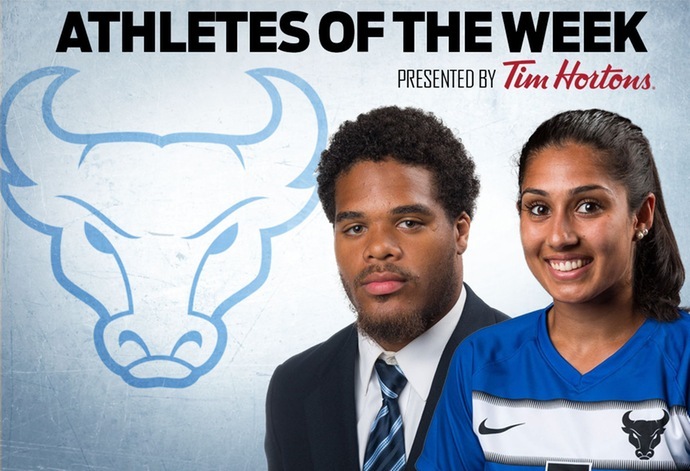 BUFFALO, N.Y. -- Junior defender Gurjeena Jandu had her best offensive weekend of her UB career this weekend as she netted a goal and three assists while the Bulls went 1-1 to open up MAC play. The rock-solid defender opened up her weekend with a historic three assist match in the 5-0 win at Northern Illinois as she became the first UB defender in their division I era to notch three assists in a game. Jandu also helped the UB defense earn their fifth clean sheet of the season as they held the Huskies to just two shots for the match including zero in the second half. On Sunday, Jandu was able to net her second goal of the season off of a free kick on Sunday at Western Michigan as she now has recorded a career-high nine points from her center back position on the year. The junior helped UB allow just seven shots on goal on Sunday in the loss to the Broncos. Jaret Patterson rushed for a career-best 104 yards and two touchdowns on only 14 carries (7.4 ypc) in Buffalo’s 42-13 win at Rutgers on Saturday. The freshman running back broke off a 42-yard touchdown run, late in the first quarter, to put the Bulls ahead 14-3. Patterson put the exclamation point on the win with a 4-yard touchdown run with 3:34 left in the game. It was Patterson’s first multi-touchdown game of his career.